2012 has been a big year for Transition Town Guildford. Here are some of the highlights. It all kicked off in March, with three events in one month. 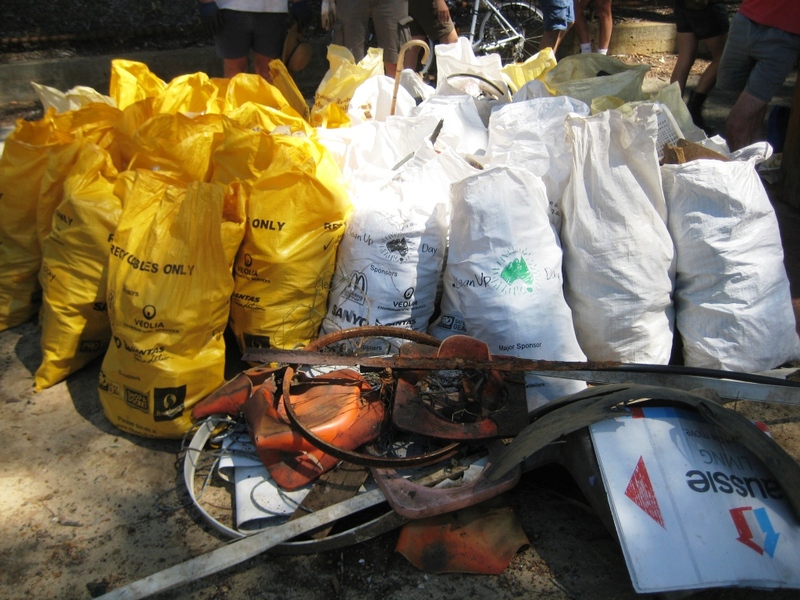 We held another Clean Up Australia day at Guildford Primary, and initial concerns of having collected it all last year were quickly dispelled with a massive hall of rubbish and recycling (thanks to Sharon and the City of Swan waste team for collecting it). Then there was a powerful talk from International guest speaker Nicole Foss. Over 100 people packed St Matthews church hall on a hot summers night to hear some inconvenient truths on our economic system (thanks also to our co-hosts Permaculture West and Ecoburbia). Luckily, this event was followed by the first Transition of the Heart workshop, giving people a chance to express feelings and fears that may have come up. 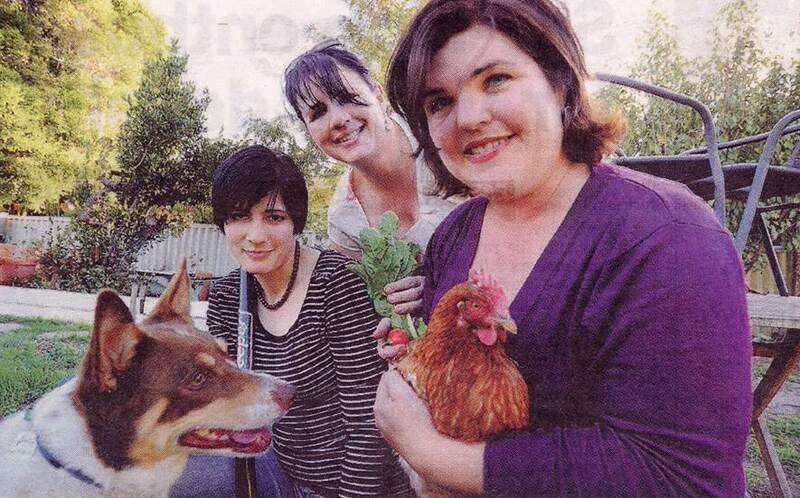 In June Emma, Elizabeth and Debra started the Kitchen Gardeners’ Society, which meets in members’ backyards on the first Sunday of the month to share experiences, plants, tools and participate in garden-related activities. This year included keeping chooks, bees, w0rms and compost, permablitzes and preserving the harvest, it’s been a raging success! Bag It, probably the funniest environmental movie you’ll find, isn’t just about plastic bags, but all the nasty facets of plastic. 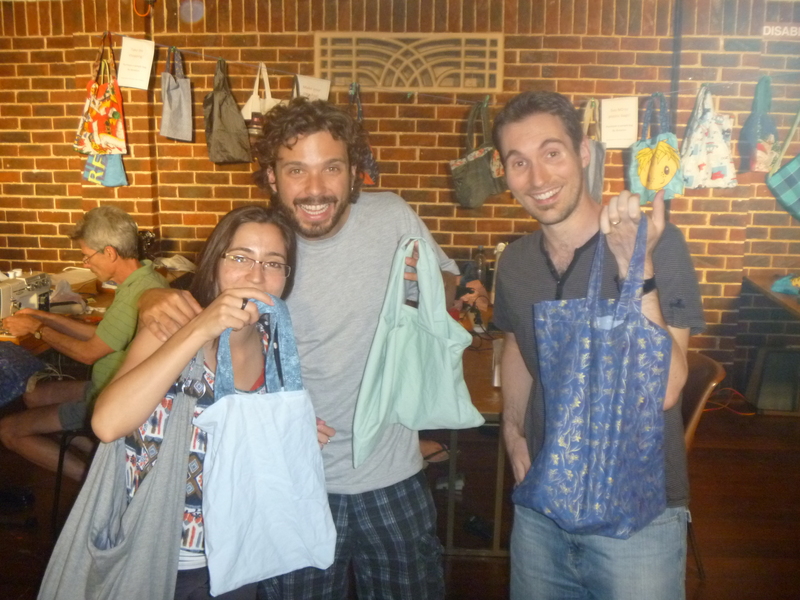 This was accompanied by sewing stations and making your own bags, which proved to be a winner. 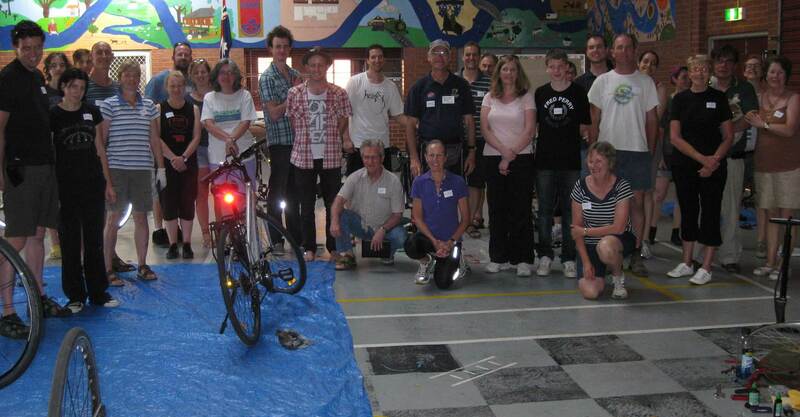 And we also held our first bike maintenance workshop, with 34 people learning how to fix and repair their own bikes. So all that remains for 2012 is to celebrate! This entry was posted in Event, Transition and tagged 2012, Christmas celebration, Stirling square Guildford. Bookmark the permalink. 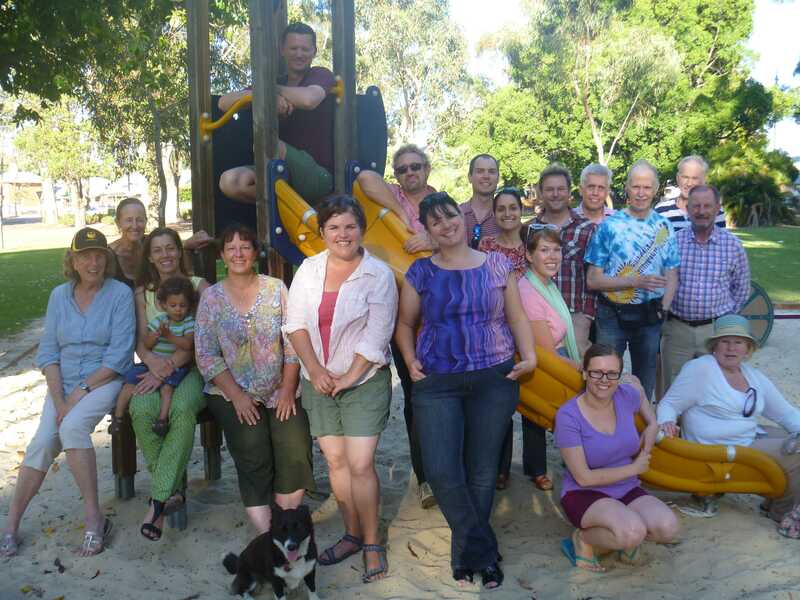 Lovely to have barb Frey down to Margaret RIver for the transition Sw gathering.